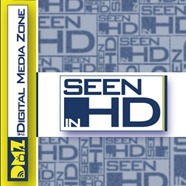 Seen in HD comes in hot, first with enormous thanks to those who supported DoBlu’s crowdfunding efforts, and then complaints over the high frame rate of The Hobbit. Into the light news segment, Fox is allowing Blu-ray fans to vote on what films will be released from four decades of catalog titles, a nice way of showing the community some love. In the realm of physical disc rentals, GameFly won a dispute over USPS mailing methods which saw Netflix get caught in the middle. Finally, a great article over at Reel Nerds Podcast made us wonder the same thing: Does the internet make us hate good movies? We discuss. Despite coming in at just under an hour, we still managed to get into two reviews as well. Chatter about Taken 2 on Blu-ray and the latest Devil May Cry game are waiting within.